Ichikawa-ha Goju-ryu International Karate-do Sosui-kai has specific requirements that must be met before any member can advance to the next grade. This segment should be used as a guide for our members to know if, in addition to mastery of prescribed kata and techniques, they may be ready to advance to the next level of their karate-do training. For more information, please refer to the organizational by-laws. 1) Proficient knowledge of required material set forth for each grade. 2) Completion of time-in-grade requirements before promotion to the next grade. 1) In order for an individual to achieve the grade of Kudan, in addition to the above requirement, the person must also be a minimum of 60 years of age and have a minimum of 40 years of training within the system. 2) In order for an individual to achieve the grade of Judan, in addition to the above requirement, the person must also be a minimum of 70 years of age and have a minimum of 50 years of training within the system. 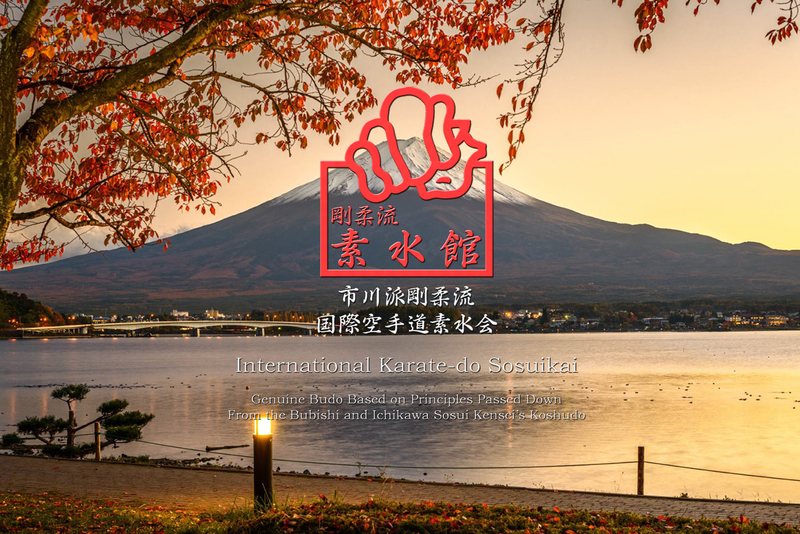 In addition to Dan grading which awards technical proficiency, the Ichikawa-ha Goju-ryu International Karate-do Sosui-kai also utilizes a series of teacher grades for instructors with dojos. This system is used to differentiate excellence and seniority among our instructors within the organization. 1) Kenshi 拳士 — Apprentice Instructor licensure available at Sandan. Prospective Kenshi must assist a senior instructor for 1 year before Sandan examination. Shibu Dojo is not required to hold this licensure. 2) Renshi 錬士 — Available for Yondan and Godan. Prospective Renshi must pass a written examination and own a Shibu (branch) Dojo. 3) Kyoshi 教士 — Available for Rokudan, Nanadan, Hachidan. Prospective Kyoshi must pass a written examination and own a Shibu (branch) Dojo. 4) Senior Kyoshi 上級教士 — Honorary grade duly awarded to Hachidan. This grade can be held by only one member within the organization at a time.